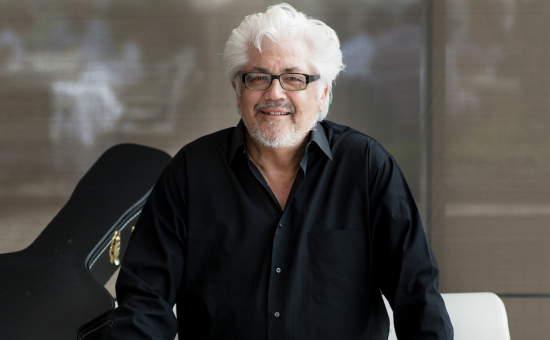 Larry Coryell, a dynamic, adept guitarist and composer whose overdriven sound and rock-tinged riffs opened the door in the mid-’60s to a new jazz idiom, and whose early solo albums and work with the Eleventh House helped define jazz-rock fusion, died unexpectedly in his sleep of natural causes on Sunday, Feb. 19 in New York City. He was 73. Coryell had performed at the Iridium in New York on Friday and Saturday, and was awaiting the release of his Eleventh House’s new album, Seven Secrets, on June 2. A U.S. tour supporting the record was to follow. Although never as popular as ’70s fusion contemporaries John McLaughlin and Al Di Meola, Coryell’s influence is undeniable, with his work on Chico Hamilton’s 1966 release The Dealer a watershed moment—ushering in an era where rock, and not bop, would be the source of inspiration for legion jazz guitarists. Born in Galveston, Texas on April 2, 1943, Coryell spent his formative years in Seattle, Wash., studying piano at an early age, but switching to guitar in his teens. 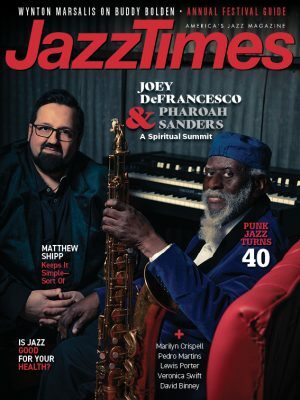 After enrolling at the University of Washington to study journalism, he began taking private music lessons and exploring the music of Wes Montgomery, John Coltrane and others, eventually dropping out of college to pursue music as a career. By 1965 he was in New York City, playing at jazz clubs in Greenwich Village while absorbing the popular music of the day—the Beatles, the Byrds, Bob Dylan, the Rolling Stones—and determined to merge the two into a locus of tone and technique. That same year he joined Chico Hamilton’s working quintet (replacing Gabor Szabo who left to pursue a solo career), and in 1966 his brash and bluesy style on The Dealer made listeners and other guitarists take notice. In 1967, Coryell and drummer Bob Moses formed the short-lived Free Spirits, considered by many to be the first jazz-rock outfit (with elements of psychedelia and Indian music), and featuring Coryell on lead vocals as well as guitar. After disbanding the group, he performed and recorded with vibraphonist Gary Burton’s quartet, played on flutist Herbie Mann’s Memphis Underground, and released two solo albums which mixed elements of jazz, rock and the classical music he had started studying upon his arrival in New York. But it was 1970’s Spaces, his third recording as a leader with an all-star band including fellow pioneering fusion guitarist John McLaughlin, bassist Miroslav Vitous and drummer Billy Cobham, that truly delivered on the promise of a new style—elements of jazz, rock, R&B, classical, Eastern and more, inseparably fused. His 1971 follow-up, Barefoot Boy, expanded the tonal palette by adding saxophonist Steve Marcus and a trio of percussionists including Roy Haynes on drums. In 1973 Coryell with drummer Alphonse Mouzon formed a new band, the Eleventh House, which included Randy Brecker on trumpet, Mike Mandel on keyboards and Danny Trifon on bass. The band’s debut album, Introducing the Eleventh House With Larry Coryell, is considered a classic of the genre. By the mid ’70s, Coryell was veering away from the music he helped define, finding musical purchase in acoustic settings with guitarists Philip Catherine, Steve Khan, John McLaughlin and others. In later decades, he recorded extensively in a variety of styles—fusion, straight-ahead, acoustic, classical music (Russian and American), original operatic works based on classic novels, and even bebop, the form from which he wanted to break free as a young player trying to find his own voice. Most recently, Coryell had been on tour in support of his latest release, Barefoot Man: Sanpaku.